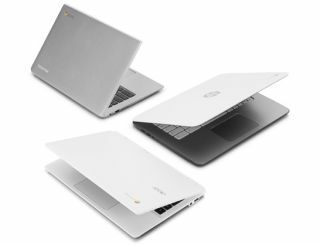 Chromebooks are getting more and more popular in education, the workplace and at home. They are very useful and capable, but I still hear "but they are only a web browser" "they can't do much" etc. when in reality, they can do pretty much everything. 1. This is a great Google Doc from Peter Vogel with tons of resources in the format, "I want my students to ___" and then it links to the Google App or web app that allows that on a Chromebook. 2. Google Apps and Chromebooks Web App Recommendations - a whole lot! This has a huge list of web apps to use with Chromebooks, sorted by task and subject area. There are also links to other lists and suggested apps. 3. Official Google Find Apps for your Chromebook support page - great resource for any Chromebook user. Apps are listed as "If you want to..., On a Chromebook you could use", and then also has Comparable Windows and Mac app for comparison. 4. Richland School District 2 1:1 Starter Guide - tons of great web app suggestions, organized well, from a school district with great success with Chromebooks. Take a look and start finding some great web apps to use with your Chromebook. There are even Android apps for the Chromebook too. Google for Education Resources - tons of resources, links, app suggestions, and more.